Union public service commission (UPSC) has declared the final exam results for Engineering Services Exam 2013 held in the month of June 2013 and Interviews for personality test held in the month December 2013 – January 2014. UPSC issued the final list of qualified candidates in both written exam 2013 and personality test interviews. The list contains the name and roll numbers of qualified candidates who have been recommended for appointment to various services or posts in ministries or departments concerned. All the candidates appeared in UPSC Engineering Services Examination June 2013 can check the final list announced which is available for download directly from the link given below or from the official website of commission www.upsc.gov.in. Download the following list of qualified candidates under the various groups Civil Engineering, Mechanical, Electrical and Electronics & Telecom Engineering. Appointment will be based on the vacancy available in various departments. Check out your full name and roll number if present in the qualified candidates list. 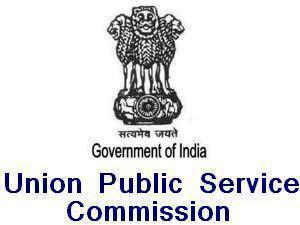 On 8 November: Union Public Service Commission UPSC has declared Engineering Services Exam 2013 Result held in June 2013 for various services Civil, Mechanical, Electrical and Electronics & Telecom Engineering. It was conducted by union public service commission at various exam centers across the country. Thousands of candidates appeared in this examination and waiting for their Exam Result which have to be published in the first week of November as per the schedule. UPSC has issued the final declaration of the result and uploaded on the official website of the commission http://www.upsc.gov.in. All the candidates can download this document containing their roll numbers. On the basis of written examination performance, all the roll number present in the following list of qualified candidates in UPSC Engineering Services Exam 2013 are eligible and qualified for Interview and Personality Test. Click on the following list to download the final list of qualified candidate’s roll numbers arranged according to the services Civil, Mechanical, Electrical and Electronics and Telecom Engineering. Hi, Thank you sir for give us this information about UPSC Result and It is very helpful for me and other engineering services students students and if I passed this exam, then I give a small party to my friend.